What is Income Tax and Where Does it Go? The income that an individual pays each year is dependent upon the earnings of that individual, the properties owned, and how much is spent and saved. Each state in the United States levies a tax on its citizens which is deducted from their personal income. The amount linked to each tax category varies incredibly from state to state. Income tax alone has severe fluctuations within the country. States like Mississippi, Iowa, and Maryland, among others, levy income taxes as high as above 9%. Income tax in the United States is levied by the government and increases with the income of the individual. The income of the citizen needs to exceed a given threshold known as taxable income beyond which income tax begins to be levied. All kinds of companies and salaried or earning individuals must pay the income tax. Trusts or estates are usually taxed on their undistributed income. While partnerships are not directly taxed, the individual partners are taxed on their earnings. There are two categories of taxes associated with a resident’s income. One is termed as payroll tax, and the other is known as income tax. The payroll tax is the FICA tax that goes to fund the social security and Medicare. Income tax, on the other hand, goes directly to the government. Income tax levied on the taxable income is defined in the federal jurisdiction and is directly adopted by most sub-level jurisdictions. 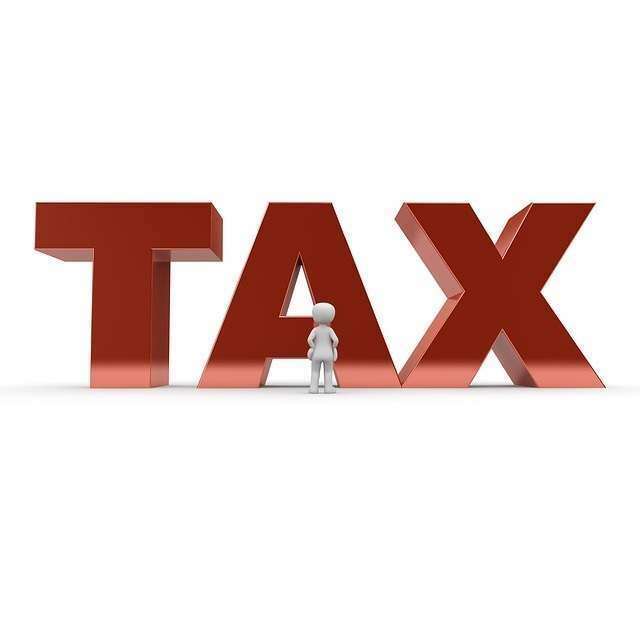 The amount of tax levied on each individual is divided into various categories. The amount of tax rises with the income, as mentioned above. Residents can reduce the amount of income tax levied through a variety of capital gains and qualifying dividends. Depending upon the filing status of the individual in the United States, there are various deductions and change in tax rates. For example, a married couple might choose to file their tax as a single unit or as separate individuals; single residents who are the earning member of a household are liable to reduced taxes. In order to understand taxes and income tax better, it is important to go over a few key terms. Taxable income- In the Internal Revenue Code, there is a comprehensive definition of taxable income which is issued by the Department of Treasury. Taxable income refers to the earnings of an individual after the deductions have been made. While most states and sub-localities have their own adjusted definitions of taxable incomes, they are ultimately based on the federal definition issued by the US Treasury and Internal Revenue Code. Gross income- The gross income of an individual is the total earnings received from all the sources of revenue combined. It consists of salaries, wage tips, pensions, fees earned for services, earnings from goods sold, business incomes, gains from sales of property, rents received, any kind of interest and dividends, alimony, agricultural income, and others. Some kinds of incomes such as certain government bonds are completely free from income tax. Adjustments- Adjustments are reductions to the gross income of an individual for reasons such as alimony, payment of health savings and pensions and student loans among others. 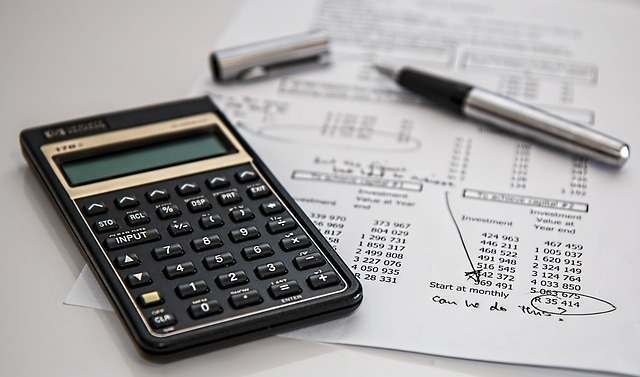 Business deductions- The taxable income is further reduced in accordance with the various expenses an individual must pay for maintaining any owned business. Such reductions include salaries paid, payments of maintenance, and overhead charges among others. Capital gains- Capital gains are usually profits earned from the sale of a property or any kind of investment. Capital gains, along with qualified dividends, are liable to taxes in a number of states as they contribute a part of the taxable income. The tax on such capital gains is limited to a lower amount. Tax credits- The tax credit is a fixed amount of money that citizens can deduct from the tax that they pay. There are various kinds of tax credits with differing values which are granted to specific individuals and corporations. Unlike deductions and exemptions which work on reducing the amount of taxable income, tax credits directly reduce the amount that is paid to the government. Medicare tax- Individuals with very high income are liable to a Medicare tax which amounts to 0.9% of their earnings, compensations or self-employment income. Tax returns- Every tax paying individual must file a tax return form with the government authority. 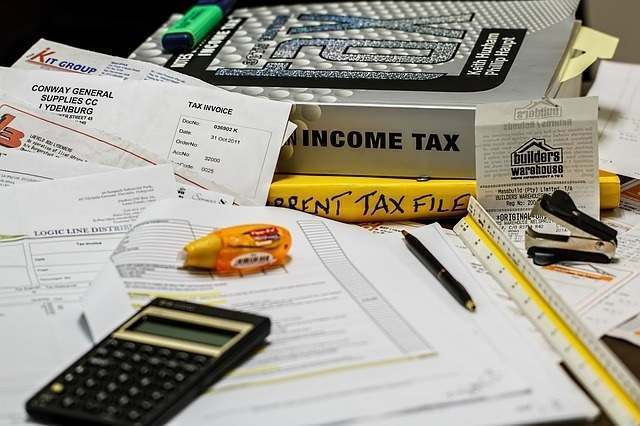 The tax return form contains all the vital information about the individual such as the income, expenses, and other kinds of financial information. Tax returns are filed annually, and all the deductions, exemptions, and tax credits are listed on the returns. Depending upon the file of the individual, the taxpayer can be liable to a payment from the government after the final calculations. How tax brackets work and how the tax money is utilized. The various income tax brackets for individuals are adjusted on an annual basis for inflation. The Internal Revenue Service (IRS) charges for the publication of the new tax rates which are released as Tax Rate Schedules. The tax brackets are divided into various categories for each range of income. The various categories are Single Taxable Income, Married Filing Jointly or Qualified Widower Taxable Income, Married Filing Separately Taxable Income, and Head of Household Taxable Income. There are seven earning ranges for each of these categories. For an income range of $0 to $9525, the marginal tax rate is 10%. The tax bracket is 12% for the income range of $9526 to $38,700. A 22% marginal tax is levied for the next income range going up to $82,500. 24% tax is charged in the next tax bracket of the maximum income of $157,500. For earnings in the range of $157,501 to $200,000, the tax that is levied is 32%. A 35% marginal tax on the next bracket of $500,000. For individuals earning more than $500,000 a month, a 37% tax is levied. Being a part of a particular tax bracket doesn’t necessarily mean paying the exact federal tax rate on the entire income. The government divides the various taxes into the chunks or portions mentioned above. This means that no matter what tax bracket the person lies in, he or she never has to pay taxes on the entirety of their earnings. However, one should note that these are applicable only on a national level. As mentioned above, states have their own versions of tax laws and tax brackets. Certain states might even have no income tax at all or levy extremely harsh rates of income taxes. Income taxes are a major component of the overall federal tax which is utilized for a wide range of purposes. The citizens of the country pay the government for the continued services and maintenance of operations. Apart from that, there are infrastructure, utilities, developmental projects, education, health, technology, research and other kinds of activities that must be paid for. All of these activities which utilize taxes are done for the betterment of the lives of the citizen and the society. The three biggest expenditures which the government spends tax money on are medical care, social security, and defense/military. Spending on national defense-The United States has the world’s biggest and most sophisticated military systems in the world. The constant maintenance and update of these systems require resources and capital. The spending on the military and defense is considered to be a discretionary aspect of the federal budget which is constituted by the tax dollars. The Department of Homeland Security and the Department of Defense are the major receivers of the expenses attributed to the defense of the country. Social Security-In the year 2014, about 23% of the federal budget was given to Social Security systems which amounted to a total of $857.3 billion. Social Security is a mandatory portion of the federal budget and looks after the various retirement benefits and survivors' payment programs. Healthcare programs-Some of the major healthcare programs that receive payments from tax dollars are Medicare, Medicaid, and the CHIP or the Children’s Health Insurance Program. Around two-thirds of the federal budget goes for Medicare, Medicaid, and CHIP. Various safety net programs-There are numerous safety net programs operated by the government to help the underprivileged sections of the society. All of the safety net programs constitute about 14% of the federal budget. This includes all kinds of aid programs which are for the low to mid-income citizens who need to support families and are not a part of the Social Security or any kind of major health programs. Some examples of safety net programs are unemployment insurance, food stamps, low-income housing assistance, and programs for neglected and abused children. Interest on national debt-The national debt that the country owes to its international partners and World Bank has an interest that must be paid for. The United States government pays annually to recover from the international debt that it owes. It is a stipulated part of the federal budget and usually ranges from 5% to 6%. Other miscellaneous expenditures-About 20% of the federal budget goes for the payment of various kinds of miscellaneous services that the government operates. For example, about 7% of the federal budget goes for providing benefits to the retirees and veterans. Other kinds of major miscellaneous expenses include scientific research, development of infrastructure, education, transportation, and non-security-related international spending. Income tax systems in various states. Income tax in the United States varies according to the local laws implemented by the state. They might choose to implement a progressive rate of taxes like on the federal level, go for flat tax rates or have no income tax at all. States such as Alaska, Florida, South Dakota, Tennessee, Texas, New Hampshire, Washington, and Wyoming do not levy any kind of income tax. A flat income tax, unlike the progressive brackets implemented on the federal level, is a system where every citizen, regardless of their earnings, pay the same amount of money as income tax. Totally, there are eight states in the United States that levy flat income tax. Supporters of the flat tax system often claim it to be more, just as an equal amount is levied on everyone irrespective of everything. This system also eliminates systems such as deductions, tax credits and any kind of exemptions. The main reason behind this is that, according to theory, having such restrictions curve biases towards certain behaviors and practices. One advantage of the flat income tax is that it eliminates double taxation by taxing only the earned income. Any kind of income from interest on savings, dividends, and capital gains from other investments are not taxed under a pure flat tax system. This is mainly done to promote growth and investment. Colorado, Indiana, Massachusetts, Michigan, North Carolina, Pennsylvania, and Utah all implement a flat income tax system. California- Lowest in California goes to 1% whereas the highest as of 2018 is 13%. The 1% income tax is charged for the bracket of up to $16,030 in income for married or joint families and $8,015 for those filing individually. For the highest tax rate of 13%, the bracket is $1,074,996 for married or joint families and $1 million for single earners. There are certain exceptions to the tax levied for retirement benefits. For example, the benefit that is earned from railroad retirement is all exempted from any kind of tax. All the other kinds of retirement benefits from local, state, and federal pensions are completely taxed. Hawaii- In Hawaii, the lowest income tax rate goes to 1.4% for married and joint families earning up to $4,800 and earnings of $2,400 for those filing as an individual. The highest bracket applies a rate of 8.25% for families and married couples earning $48,000 and for those individuals earning $96,000 single-handed. Some of the exceptions that are made for retirement plans include railroad retirement benefits and all benefits earned from military, state, local or federal pensions. Iowa- Iowa levies very high income taxes on the top bracket with 8.98% on all incomes above $69,930. This is irrespective of whether the individual is filing as a family unit or single-handed. For the lower bracket, the tax goes to 0.36% for everyone earning up to $1,554. All the taxpayers in the state who are above the age of 55 years or are disabled in any form, such as a surviving spouse or a survivor of an insufferable interest among others can exclude an amount as much as $6000 from their tax payment if they are single or $12000 if they are married. This reduction can be made on a variety of incomes such as pensions, annuity, and distributions from the IRA or any kind of self-employed retirement plan. Minnesota- The state of Minnesota applies a tax of rate of 5.35% as the lowest for couples and families earning less than $37,110 and single filers earning less than $25,390. Their highest tax bracket is 9.85% on earnings more than $115,911 for single filers and more than $261,510 for joint filers. The social security income here in Minnesota is also taxable, but married couples can forego an amount of $4500 of their federally taxed Social Security benefits. There are retirement exemptions for railroad pension schemes here in Minnesota.Most kinds of federal, state or military pensions are tax-free in the state. Taxpayers who are 65 or older can choose to exempt an amount up to $9,600 for single filers and $12000 for joint filers. New Jersey- The state of New Jersey levies a lower tax rate of 1.4% on the lowest tax bracket which is constant for both single and joint filers. The earnings for the lower bracket is set at $20,000 as the upper limit. The upper bracket or those earning more than $500,000 pay a tax rate of 8.97%. In New Jersey, the state allows localities to impose the tax, which is valued at 0.5% per tax foundation. This is only for the upper tax bracket. New York- Another state with very high tax rates is New York. Even the lower bracket has rates as high as 4%, and the highest tax bracket pays a rate of 8.82%. Those earning up to $8500 single filers and $17,150 for joint filers fall under the lower tax bracket category. Single filers earning above $1,070,550 and joint filers earning above $2,155,350 fall under the high-income tax bracket. Social security benefits in New York are not taxed, and military, civil-service, local and New York State pensions are all exempted from any kind of tax.